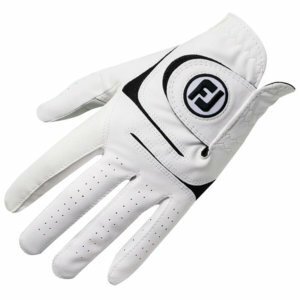 Authorised Stockist for all the major brands in golf. Welcome to Clubhouse Golf, the largest and most trusted independent golf retailer in the UK! As a multi-channel golf company we are passionate about the game as we don't just sell golf products, we also live golf! With over 30 years experience in golf retail we have established ourselves as one of the most trusted companies both online and on the high street. Our success is down to providing total commitment and dedication to all our customers giving them 100% satisfaction. With a full team of PGA Golf Professional's and expert staff, our philosophy is to provide industry leading 5 star customer service coupled with the largest range of affordable golf products at the lowest possible prices! As the market leader we are 100% dedicated in providing our customers the best possible shopping experience and after sales service. In store we have PGA Professionals available 7 days a week to offer the best possible advice while our 30,000 sqft warehouse is the home of our online & mail order business. We have a reputation of being able to deliver golf equipment in a fast and efficient time, ready for your next game of golf! We offer the very best selection, stocking every brand in depth so that we can cater for all your golfing needs. Our 30,000 sqft, double floor warehouse and distribution centre holds all our stock that is brand new and packaged ready to be shipped out to our customers all over the UK and Europe. We're approved for all the major brands in golf. Europe's largest selection of official golf products. Lowest prices on the biggest and most popular deals. Friendly service with expert PGA Professional staff. We're UK based, trusted by thousands of customers.